Thảo luận trong 'ENGLISH' bắt đầu bởi Matt, 14/6/18. Shooting slow motion footage is a lot of fun. If you want to pull it off properly, you’ll need a really good slow motion camera. In this article, we’re going to look at what we think is the best slow motion camera. We’ll cover the pros and cons of each camera and give you advice along the way. We’re going to be looking a selection of industry standard slow motion cameras. The quality and price is going to cover the whole scenario of lifestyles, from entry budget (usually called prosumer) all the way to realistic affordable professional cameras. These gents have explored the full use of objects and environment, experimenting with slow motion video capture. 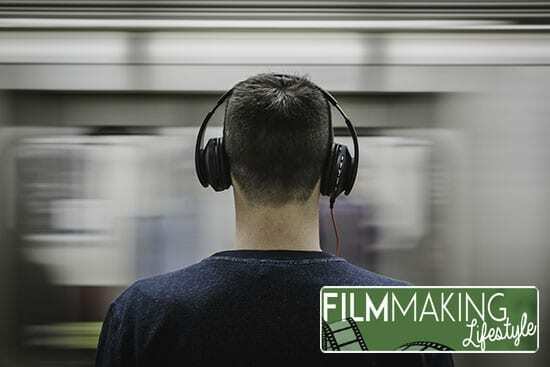 If nothing else, it is really fun to watch and showcases the slow motion effect for video or film production. I have chosen the latest camcorders and high-speed Cameras capable of video and slow motion features, for good to high quality results. In this section I will review the models and there features, looking at performance and footage quality, as well as reliability. The Sony a7S is a personal favorite. This lightweight little beast is capable of some incredibly beautiful and pleasing video. The image quality is so pleasing to the eye and if you’ve shot a project on a number of cameras, this camera’s footage usually sticks out (in a good way). Okay, firstly this camera doesn’t actually have a direct slow motion setting like some of the other cameras listed here. It takes a bit of extra work, but it’s worthwhile. You essentially want to shoot in 120fps and then apply a slow motion effect in post production. Whilst it might not be as straightforward and obvious as some of the slow motion settings on the other cameras in this list, it works incredibly well and produces professional looking slow-mo. 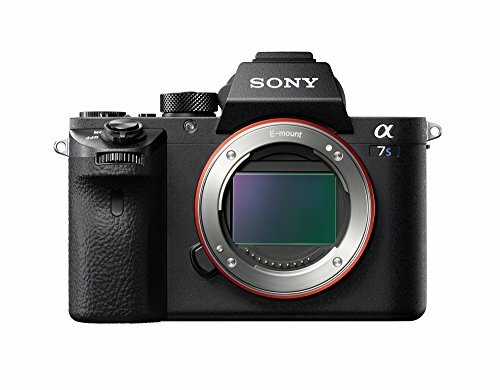 Furthermore, by the time you read this article, there may be firmware updates to the Sony a7S that make this a lot easier to perform and more effective overall. This camera is small in size and light in weight, making it perfect for all sorts of projects and shooting situations. Over the years, this camera has become a staple of our event videography work. It’s small enough so that even on a camera rig, it doesn’t get in people’s way and enables you to move freely through a venue without causing havoc. Lots of people are moving from Canon DSLRs and joining the Sony party. Whilst we’re not 100% swayed yet (and shoot on both Canon and Sony depending on the situation), we certainly love the image quality and slow motion capabilities of the Sony a7S. 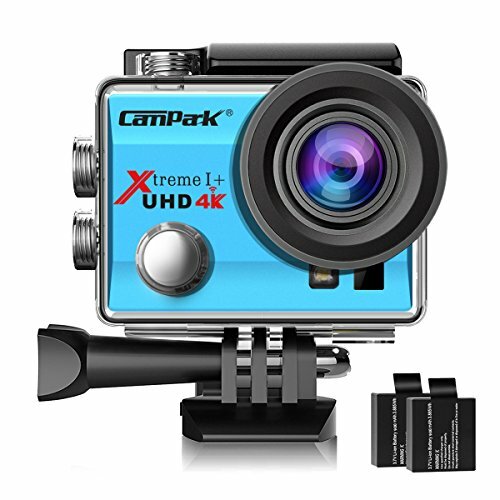 The CamPark 4K is a fun hobby aimed HD camera with slow motion features. The great thing about entry level video cameras like this is that they can be exposed to extreme elements. And, at a much lower much point (compared to the previously mentioned Sony a7S), if they break, they can be replaced and are in this sense disposable. This Camera records at 25 – 60 fps at a variety of 4K and HD resolutions: 4K (3840*2592@25fps), 2.7K (2704*1524@30fps) and 1080P (1920*1080@60 & 30fps). Fps options allowing you more storage compression of your video. Output format here is in .MOV and JPEG for still images. The sound quality is good and the battery lasts only 35 minutes at 60fps, but doubles to 1 hour when recording at the slower 30fps. Understanding that the cost of this camcorder firmly places it in the budget category, the footage quality is better than I’d had assumed. Areas can appear a little grainy, especially if high speed action is recorded. However, for the majority of uses this camera is very good and will record well. The slow motion feature is a simple option in the menu, which records at a slower rate. This is good for first timers or students experimenting with different aspects of video and framing / shooting styles in projects. It takes microSD card (not included) to record footage on and is charged using microUSB, (not included) which is the same as most Android mobile phones. This device also comes with a clever mounting bracket which can be used for a helmet or dashboard fix depending on your needs. There is a useful LCD display built into the rear of the camcorder. This gives a bright, real time relay of the recording video. The camera is light, weighing only 64g, making it perfect for hiking or travel use. Speaking of travel, additionally, one great feature is that it has a waterproof case. As mentioned earlier, it can be used in the water, so you could even do marine recording off the coast, up to 30 meters. Still images could be of a better quality, but overall a great entry level camcorder for holiday or entry level hobby projects. 4K video is heavily compressed. 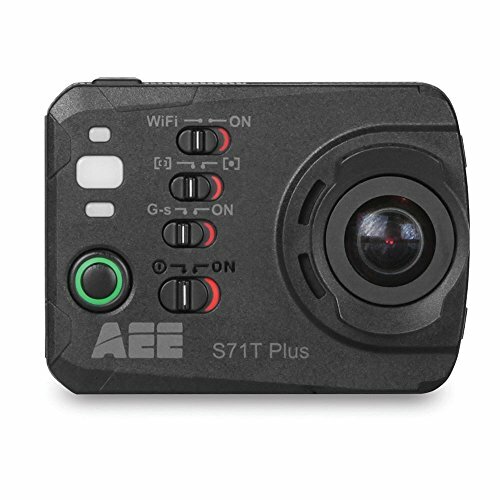 The AEE S71T Outdoor camera looks well built and also has a useful mounting bracket. The best feature about this mid range camera is it has a recording rate of 120fps in 720p HD. Great for outdoor shots and, similar to the last model, uses a CMOS Sensor and MicroSD card for recording on. This model comes with a storage card and a hand strap for about the same price as the CamPark and has a 40-50 minute li-ion battery life depending on how intensely you use it. The still shots this camcorder produces are much better than the CamPark and are high enough quality to look like they have been taken from a good prosumer camera! Again, slow motion options are a simple on/off option. This easy option makes it easy even for a beginner using this camera. Also a small 2” TFT display on the back gives the real time shot feedback. This can even be removed and mounted to the front of the camera for better in-action recording. Better stills, but average battery life and good overall features. These next cameras we list here take things up a notch. If you’re beginning to get serious about slow motion, these are worth a look. These specialist pieces of kit called high speed cameras, fun at anything from 500 to 3000 frames per seconds (fps), which offer slow motion at surprisingly high clarity HD resolution And, because of the increased frame rate, playback is super smooth. Not everyone needs a Sony FS7. But, once people see the results in the amazingly awesome footage, nearly everyone wants one. 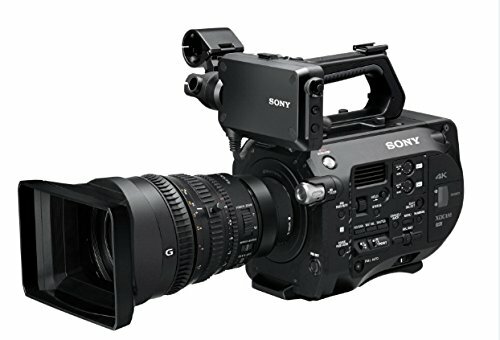 The guys I see using FS7s on weddings are usually companies who have a corporate/commercial video company as well, and they have an FS7 for that work. They then use the FS7 for high-end weddings. But there are drawbacks with the FS7. It’s not a perfect camera (what is!?) Still, the biggest drawback with the FS7 will be its hefty price tag. It’s out of the realms of affordability for lots of casual wedding videographers. The Edgertronic SC2 features interchangeable lens support, 720p HD resolution, with a 4,456 fps capture speed. If you need slow motion effects with clarity and high definition, this camera will suit you down to the ground. This camera supports Nikon lenses with its F Mount fitting, the SC2 and SC2+ offers some serious high-speed camera specs and is Wi-Fi compatible, with its inbuilt mini router. SC2 is both Android and Apple compatible and is one of the most reasonable high-speed cameras around for price and professional quality. The high-speed Chronos started out life as a Kickstarter project back in 2016. This 720p high speed camera features a capture speed of up to 21,500 fps! Pretty amazing! The video resolution of the Chronos is 1280*1024 and at that resolution it manages just 1000 fps! Unfortunately, the max fps is at minimum screen resolution, however you can still pull off some impressive slow motion effects with the Chronos. The idea of the Chronos 1.4 is that it’s a cut down film studio, wire free in the palm of your hand! Kron Technologies, the manufacturers, believe high speed cameras should be for everyone, not just the scientific 25k camera price range. They have certainly done well reducing the market price, bringing this high quality camera much closer to a consumer price range. The Chronos comes with 16GB of video recording, charger and battery. The Li-ion battery time here lasts for about 1.5 hours, which is low to medium range, but also shows this is a power piece of hardware, for this niche market. Lens type is a C mount and video recording is either in MP4 or RAW format options. With the standard recording 150fps at 1280*1024 resolution, into standard SD card format. This camera has a record length of just over 4 seconds, 8 seconds for the 16GB version. Yes, that’s an incredibly short recording time, but this is a specialist piece of equipment. This camera base is well designed with lots of features, not normally on your standard camera and an extra large real time image display on the rear. It’s clear a lot of thought has gone into the design and manufacturing of this high speed camera. The camera weighs just over 1 kg about 3.3lbs. This is a truly unique camera and well worth some money and effort if slow motion is a prime demand for your projects. As standard, you’re going to be on the lookout for HD 1080p quality images minimum. Although, these days, most support 4K resolution, which is 3840 x 2160. The difference is 1080p is the number of pixels left to right (horizontal) and moving forward 4K resolution measures horizontal pixel resolution. 4K gets its name having about four times the number of pixels as standard HD, so has quickly become or is becoming the professional standard. Remembering the fact that this is a technology driven market and their are may companies pushing innovation all all areas. Not only does this measurement determine the resolution quality of the image, but the also the number of image sensors, which tracks the light levels returning off objects in the image. Typically, a CMOS sensor is used to track RBG variations. But, on a basic level, the more the better. Battery life for these cameras vary from 1 to 3 hours. The more demanding the ‘bells and whistles of the camera and HD video units the less use time, due to the demands from the hardware. Lithium-ion battery life is limited by the technology, so you will find variation in the standard battery lifespan across the whole spectrum of the video and camera models featured here. Professionals usually get around this by carrying multiple batteries. Seems obvious and common sense, but worth mentioning here. This feature adds another dimension to your creative repertoire. A must for all snorkel or scuba drivers, especially in the wake of the Blue Planet series by David Attenborough that has brought a lot of attention to underwater videography. Some kits are bundled with tripods, bags and extended warranty. These usually provide great value for money and worth keeping an eye out for, especially during special offers. Slow motion work is tricky and takes a skilled practitioner to pull it off in an effective manner. Whilst we endorse the use of slow motion work and feel it adds dynamism to projects, you have to be careful not to overuse it. There’s nothing worse than watching a video that overuses slow motion. It stops being dynamic at that point and is rendered cliche. Don’t be one of those guys! So if you’re looking for the best slow motion camera, the cameras in this list will suit you well. Pay special attention to your budget and the kind of project requirements that you have. You don’t necessarily need to splash out on an FS7 if the CamPark 4K Action might do the job that you need. In Summary, if you’re just starting out and want a fun, compact camcorder, with slow motion options CamPark has a price that is extremely difficult to beat, with the a7S or the FS7 being the best all round camera offering for multiple purposes. However, just on price a loan the Chronos 1.4 with its large viewer screen, high fps specification and variety of features stands out as the high speed, slow motion camera for specialist project needs. We hope this article on our favorite slow motion cameras has helped you out. We hope you enjoy shooting slow motion – just don’t go crazy with it! Did we miss out your top slow motion camera? Got a recommendation that you think beats all these? Let us know in the comments below. The post Best Slow Motion Camera: 6 Top Slow Motion Cameras For All Budgets appeared first on Filmmaking Lifestyle.